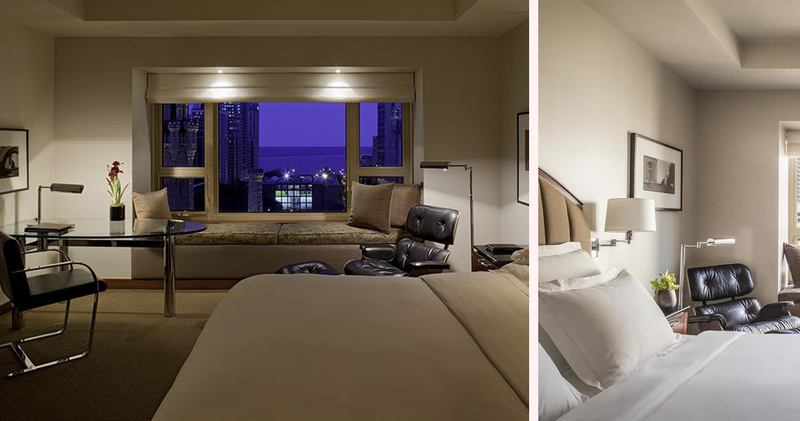 Park Hyatt is a sophisticated luxury hotel offering chic ambiance, beautiful views of the cityscape and guestrooms with understated elegance. 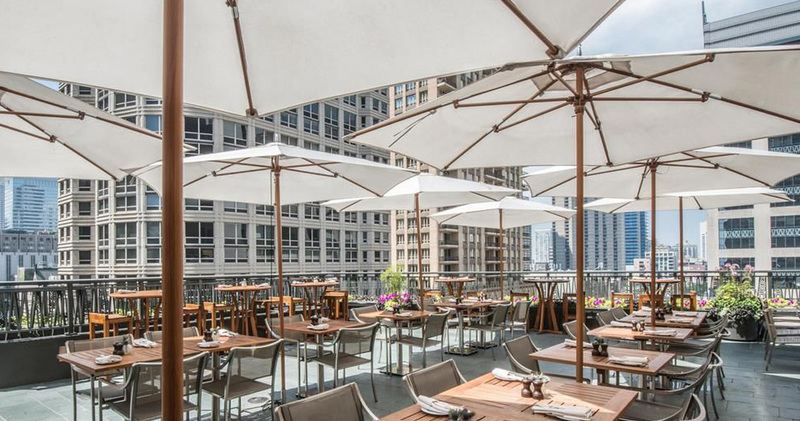 Park Hyatt is located in the Gold Coast neighborhood, close to the shopping and dining options of Michigan Avenue and the Magnificent Mile. 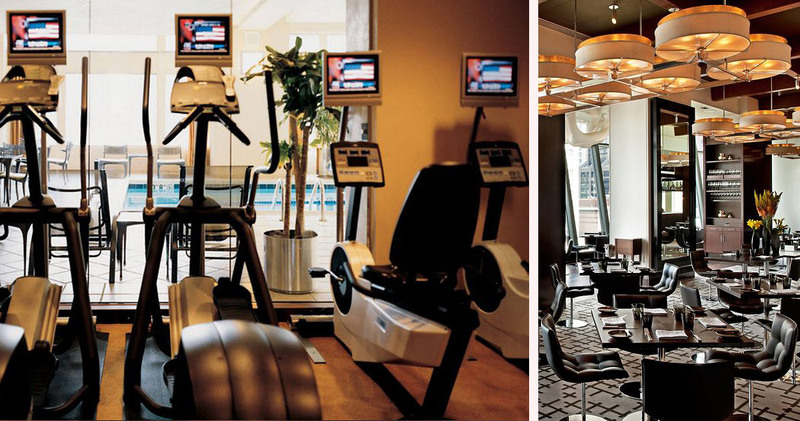 The sophisticated hotel features chic decor and a welcoming ambiance. The lobby features grand columns, rich colors, vibrant artwork and intimate wood-paneled seating areas. 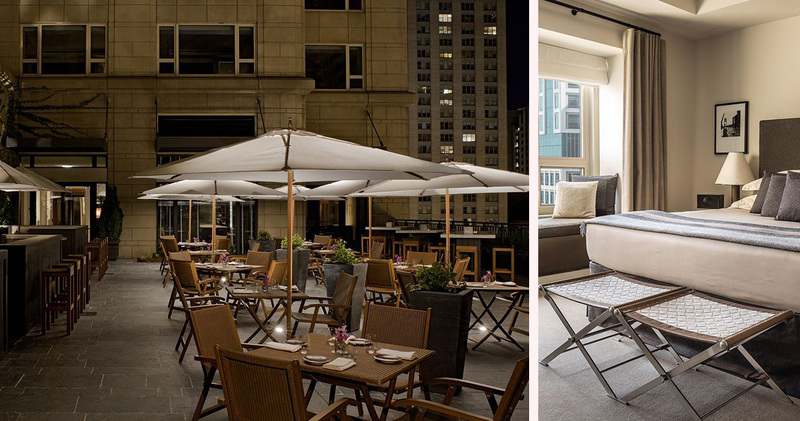 Hotel Park Hyatt Chicago is home to a cozy library where guests can unwind and enjoy complimentary beverages. Located on site are luxury retail stores like Marlowe, Giorgio Armani and Bottega Veneta. 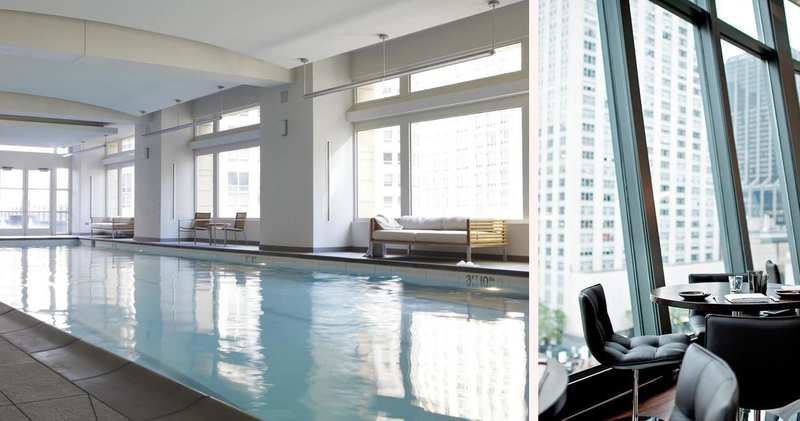 The hotel is also home to a 25-yard swimming pool and a whirlpool. 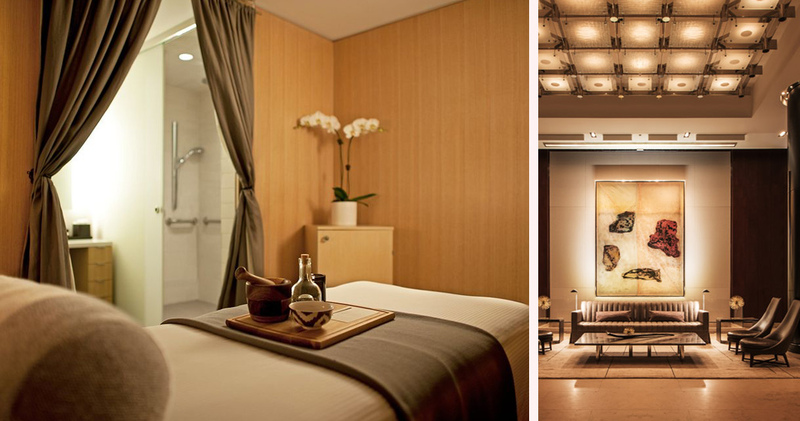 The guestrooms at Park Hyatt are elegant and feature modern, chic decor. 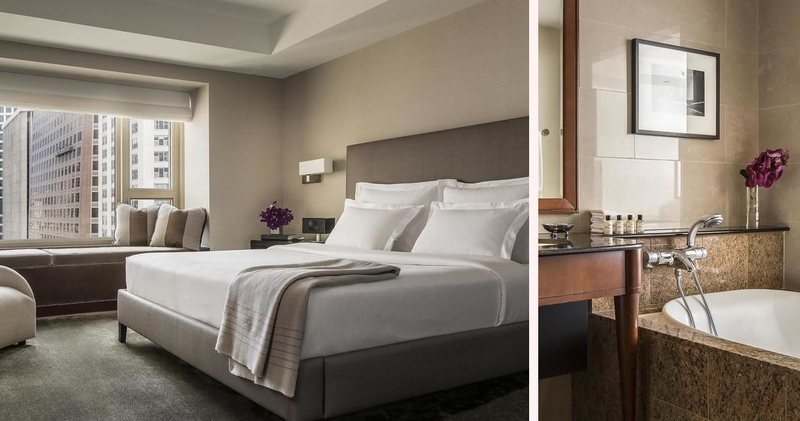 With soothing hues of browns and beiges, the guestrooms are inviting, elegant and warm. 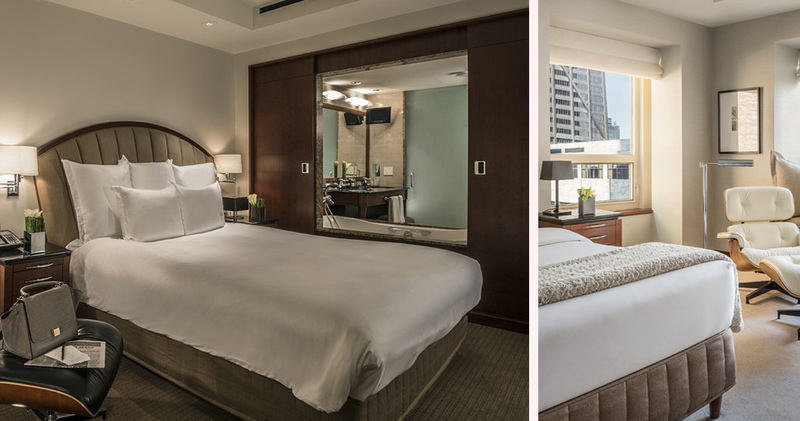 Guestrooms feature signature Simmons BeautyRest beds, a contemporary glass desk and iconic Eames armchairs. 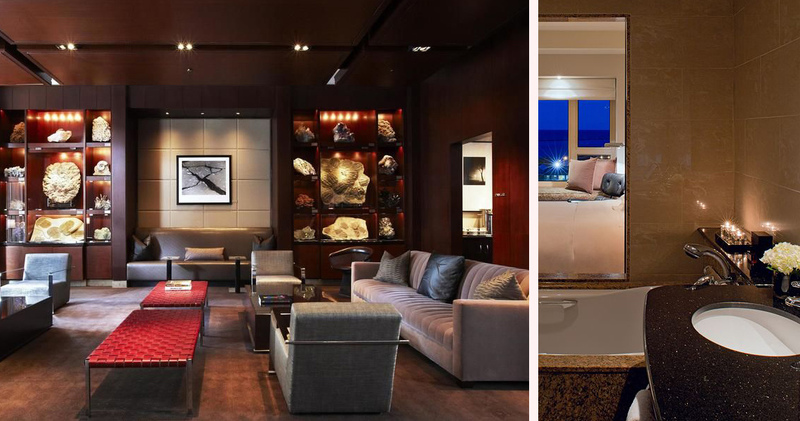 Large picture windows and window seats offer beautiful views of the city. Guestroom amenities also include a Geneva sound system. 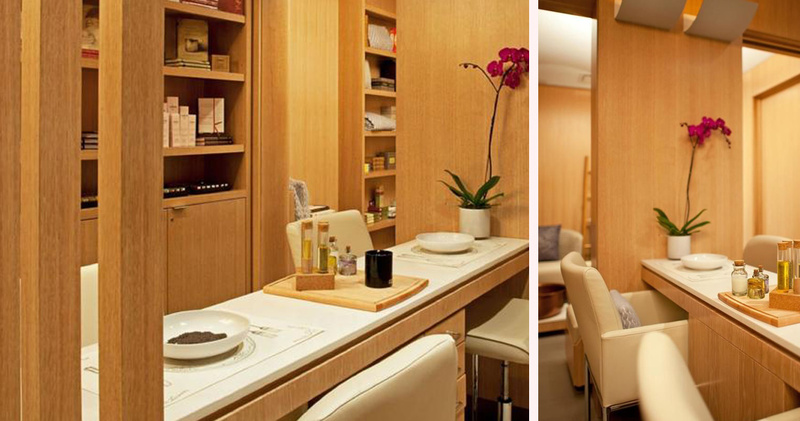 The luxurious bathrooms are spacious, sophisticated and spa-inspired. Bathrooms feature walk-in showers, oversized tubs, plush bathrobes and imported marble double vanities. Park Hyatt is home to the NoMi Kitchen. 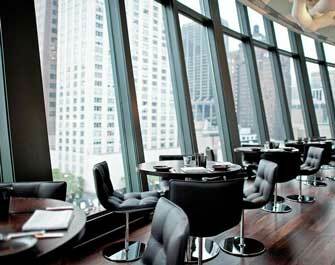 The restaurant has a casual open kitchen, beautiful downtown views and a contemporary decor. The restaurant serves locally-inspired cuisine, highlighting products from local artisans, bakers, ranchers and farmers. The NoMi Lounge is a swanky bar with stylish decor and a casual lounge atmosphere. The lounge menu features specialty beer, handcrafted cocktails and wines.